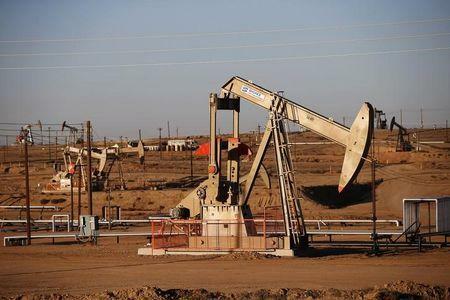 WASHINGTON (Reuters) - The U.S. Senate Energy Committee on Thursday narrowly passed a bill to lift a 40-year-old ban on the export of crude oil, but the measure faces an uphill battle in getting passed by the full Senate. Senate Energy Committee Chair Lisa Murkowski, a Republican senator from Alaska, has been a long-time advocate for lifting the ban, which she said was outdated due to the U.S. drilling boom that has propelled the country to vie with Russia and Saudi Arabia as the world's biggest oil producer. In addition to unlocking crude oil exports, Murkowski's bill would speed up exports of liquefied natural gas and ensure that states that have offshore oil and gas development get their share of federal revenues. Combining the revenues measure with repeal of the exports ban was an attempt by Murkowski to gain more Democratic votes. Murkowski and Democratic Senator Mark Warner, of Virginia, released an Atlantic Council report on Wednesday called "Empowering America: How energy abundance can strengthen U.S. global leadership" that recommending lifting the ban, to allow the drilling boom to be an asset in foreign policy. It was Warner's first signal that he is open to lifting the ban. In addition, Senator Joe Manchin, a West Virginia Democrat, who is on the energy committee, said on Thursday he supports repealing the restriction, though he did not vote for the bill. Murkowski will need to fully convince many more Democrats to vote for the bill for it to have a chance of advancing. One Democrat said he would do everything within his power to quash a measure in the legislation. Senator Bill Nelson, of Florida, said he would block the bill, which allows oil rigs to operate as close as 50 miles (80 km) to much of his state's coast. The bill will move to the Senate floor after the August break. Industry groups welcomed the bill's passage and said it would be a boon to the U.S. economy and national security. "Free trade in energy will allow America to harness the full economic opportunities created by our energy revolution," said the American Petroleum Institute's top lobbyist, Louis Finkel. The Senate energy committee also voted 18-4 to back a broader energy bill, which supports efficiency and streamlines permitting for natural gas pipelines.